A fireball as bright as the Moon occurred over Belgium and the Netherlands just after midnight on 23 February 2018. It was recorded by three cameras of the FRIPON network. 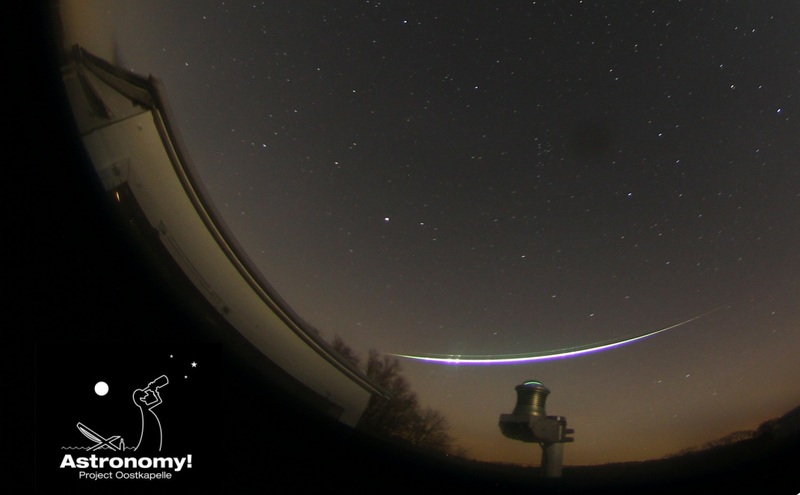 The colour photograph shows one of the camera stations (Oostkapelle) with the fireball in the background. It shows the fireball reflected in the protective dome of the camera. Did you see this fireball? (You can browse their database of all reports here).